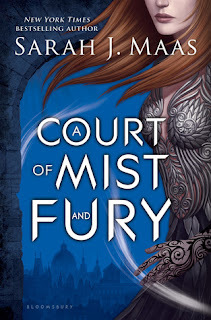 A Court of Mist and Fury is book two in the A Court of Thorns and Roses series. After how the previous book left off I was intrigued to see how everything would progress. I tend to be picky with fae books but I wound up loving Sarah J. Maas' writing style and really need to start her other books soon. We start off with the Summer Court rebuilding after everything that happened. The curse is broken and they finally don't have to wear those silly masks. Thank goodness since that was one of my main complaints against book one. Feyre and Tamlin are trying their best to get back to normal, whatever that is. In case you don't remember, Feyre was a human girl and lives with Tamlin because she killed one of his men. They knew once that happened that she would be the one that would be able to break the curse, and it turns out they were right. But she wound up losing her life and the fae thanked her by turning her into one of them. So while everyone is trying to get back to normal, Feyre is learning how to deal with all the new things that come with being fae. Tamlin is acting the doting lover though and is smothering her with his fear that she'll die again. You could just see Feyre turning into a cold, sad person and it was heartbreaking. Enter Rhysand, he helped her near the end of book one, with the promise that she would come to his court one week every month. He winds up taking her to the Night court and though I expected something awful to happen to her, she flourished. The bulk of the book has Feyre with Rhysand and I was thankful for that since I grew to despise Tamlin. That's not all though, we learn that someone wants to break the wall between the humans and the fae down and our duo has to stop it before it's too late. While this gigantic novel is long it flowed nicely and my attention didn't waver. I consider that impressive especially with this length of a novel. 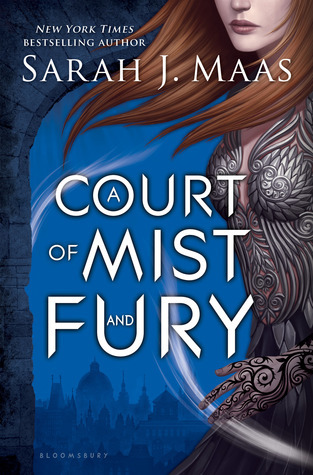 A Court of Mist and Fury is an excellent sequel, full of emotions. We learn a lot of new things, and it was really interesting to see Feyre mastering her new abilities. I really kind of wondered where this series would go since book one wrapped up a lot of the plot points. I wound up loving this book and cannot wait to see what comes next. 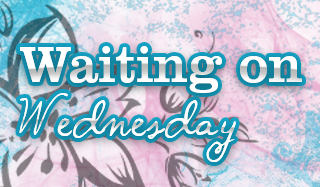 If you're a fan of YA Fantasy and fae I think you'd love this series! Great review! I loved this book so damn much! And I'm really anxious for the next book with his this one ended. Oh yay! I enjoyed it, hope you do too! I enjoy a good fae book and I never read her shamefully, but I heard great things. I love good writing so I think I need to read book 1. Okay. I need to reread the first book because everyone is hating on Tamlin and I remember liking him in ACoTaR. :\ This sounds like it's got a completely different feel to it than the previous book. I should be getting a copy from my library any day now. I've been next in line for a couple of weeks now. Tamlim is awesome is book one, not so much in book two :( Hope you love the book!! Arg. I really do need to attempt these. Book one has been on my list for what seems like ages now.